When it comes to carpet cleaning, Carpet repair & carpet stain removal in Panton Hill, you can trust the fully-trained and insured technicians from UltraKeto to care for your carpets. While its true not all stains or spots can be removed through general cleaning, there are other options. When you engage an Ultraketo Specialist Technician we offer a more rounded & detailed approach to stain removal. During this inspection we ask questions to identify the potential cause or source of the stains. We then conduct a carpet fibre ID test and identify the carpet construction, type and backing. We can also test the ability to remove the stain during this process. Once inspection complete options and costings are explained including likely outcomes. Carpet drink stain i.e cordial stains on carpet, Alcohol stains on carpet. Glue and Chewing gum removal. Blood stain and blood removal from carpet. Tea and Coffee stains on carpet. Urine or Faeces stains on carpet. Rust and furniture stains on carpet. Iron burn removal on carpet. Lipstick, crayons, make up, Acne creme stains on carpet. Hair dye removal on carpet. Paint stain removal on carpet. And many more types os stains. Stain removal by specialty chemistry and techniques. Stain removal through the use of stripping agent. Stain removal by colour replacement injection. Stain removal via carpet surgery. By removing and replacing effected area (Fusion bonding). Panton Hill is our local service area. 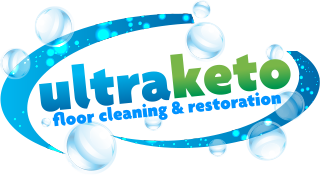 So for carpet cleaning in Panton Hill, the Nillumbik Shire Council and the Eastern Suburbs of Melbourne, UltraKeto can assist with all your carpet restoration services. For a no obligation free quote for all carpet cleaning services in Panton Hill or carpet restoration in the Nillumbik Shire Council area and the Eastern Suburbs of Melbourne please call 0405 187 007.